You are running a successful ecommerce website that gives you a good-enough flow of customers every day. However, does it really change to conversion every time? While the number of people visiting your website may shoot up more than your expectations, you cannot always guarantee a good conversion rate at the end of the day. You may have the best strategies in place but what really takes you to the top is the end result – increasing your conversion rate. Ecommerce development has increased the scope of online shopping, making it more convenient for buyers to shop. Building trust among consumers is one of the best ways to improve your ecommerce conversion rates to make a powerful impact. Context cards can help you give customers a clear picture of the details they need to provide at the time of conversion. Also, getting the details of customers, especially their email id, can help you send follow-up emails as soon as they log in, helping them feel valued as customers. Ensure that you give a detailed description of the products you are offering to help customers know what they are paying for. With all the details mentioned, there will be a lesser chance of customers feeling duped. Knowing exactly what they are purchasing can avoid cases of customers being dissatisfied after purchase. The product images on your website attracts customers towards purchasing your product. Along with keeping them as close to reality, it is also important to make them look appealing. Grainy images flaunting the most unappealing colors are not your best bet to increase your conversion rates. Using ecommerce web development to the best of its ability, you can revamp your entire web page to look attractive. By adding a virtual trial room in case of clothing items or a video in case of appliances and other devices that need a manual to get a hang of, you can make it easier for buyers to make a buying decision. Live chat facilities can help customers make an informed decision. By giving them correct and precise information, you can gain their trust and avoid the possibility of them checking other sites for comparison. Having offers and deals on products every now and then is another way to improve your ecommerce website conversion. 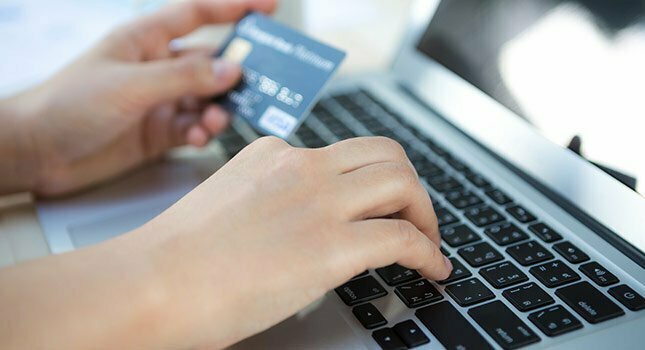 With these tips, you can easily envision an increase in conversion rates to make online shopping easier for your customers.